If you didn’t happen to catch any of the October issues on the Irish Examiner then you really missed out……..
Why I hear you ask? …………. 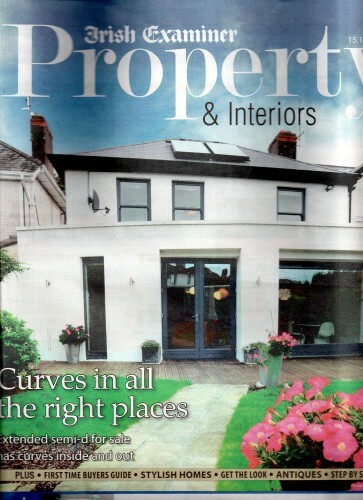 Well because for the last 4 weeks yours truly here was the featured Designer in their “Ask The Designer” column in the Property and Interiors supplement!!! The column runs every Saturday when a guest designer is invited to answer questions sent in by readers. I was delighted when I was asked as it was quite exciting to have been featured in one of the national newspapers. in case you missed my 15 minutes of fame, I have very nicely scanned the issues here for you 🙂 Just click on the image and the article will load. As you probably know I already have an “Ask The Designer” link on this blog and frequently get questions from readers. I tend to reply to these privately, but owing to the to large amount of mails I’ve received I thought it might be a fun to feature these as a regular segment. So if you have any decorating or design questions please email them to me at info@eids.ie and I’ll do my best to solve your problem. Also include a picture if you can. And readers please feel free to comment with your own suggestions and answers! ask the designer, press coverage. Really liked reading your blog.As there are many questions that we need to ask to the expert in designing the home. Furniture Style, Kitchen,Bathroom,Office, Children’s Bed Room and Dining Space.